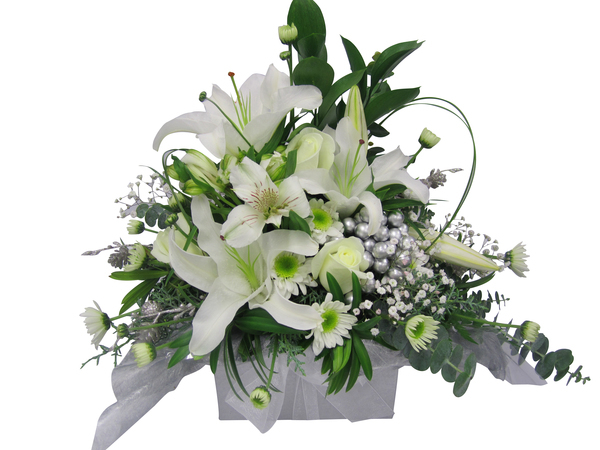 Flower Delivery Auckland FREE Delivery. Order by 10.15am for Business and 2.15 for Home or Hospital. It's that wonderful time of year - as friends and family gather near and we search for heartfelt gifts, and decorations for the home and festive table. From the beautiful fragrance of Christmas Lillies, to the warmth and happiness a festive table arrangement adds to the Christmas Lunch. Striking red poinsettia plants are the traditional Xmas plant and for something more modern and elegant an icy white and silver Christmas floral arrangement. Christmas just wouldn't be the same without Flowers! Flowers really are that perfect Xmas gift when you can't be there to share in the Celebrations and need a gift to arrive in time for Xmas Eve, sending your love and warm wishes from afar. ... "I Love you Mum ... I miss you Dad ... Thinking of you Nana and Grandpop .... To my favourite Aunty ... I wish I could be there for Christmas Dinner!" What a wonderful way to Share in the Day! What are Traditional Southern Hemisphere Christmas Flowers? Of course in New Zealand we are "Opposite" to the World when it comes to Seasons and availability of many of the traditional Christmas flowers. Christmas falls in Summertime for us. The traditional Northern Hemisphere Christmas Rose (Hellebores) is a true winter flower and so is unavailable in December in Auckland - however we do use a wide variety of gorgeous local grown New Zealand Roses in deep shades of ruby reds to burgundys which are always popular in our Christmas Arrangements. Now this can be one way to start an argument between North Islanders and South Islanders in New Zealand. Here in Auckland (North Island) Our Christmas Lillies are the beautiful, elegant fragrant pure white Longiflorum Lillies (see below -which I adore!). ... Ask a Southerner though!... In the South Island the traditional Xmas Lily is the Pink tinged and highly fragrant Rubrum Lillies. 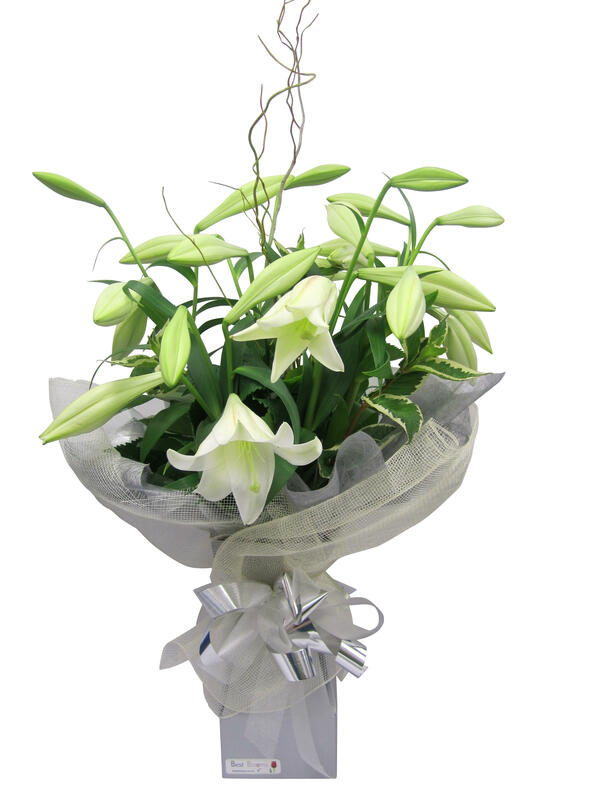 Do be aware if you are sending Christmas Lillies to the home, they are very, very fragrant! Yes Holly is available in New Zealand in December (Much to the joy of the florists hands!! ), but it is not naturally in berry as Christmas falls in our Summertime. We do use fresh Holly - particularly in our Christmas Arrangements and table centrepieces, but we do highlight with some artificial red berries tucked in. These make a nice little keepsake after for them to use to decorate the Xmas tree with. Truly the Christmas plant this gorgeous red flower originates from Mexico and is part of the Euphorbia family. Very, very popular - particularly in North America this is an eternally favourite living Xmas gift. We are very fortunate that even though our seasons are opposite, we have wonderful poinsettia plant growers here in N.Z. that are able to produce these spectacular blooms in time for December 25th! Yes - you can plant your poinsettia in your garden after Christmas - and it will flower again, but be aware the plants do get very large! Whatever you select for your beautiful Christmas florals you can trust Best Blooms to deliver in time for Christmas Eve celebrations, flowers that will last and fill the house with your best wishes from afar.